This teaching is part of an ongoing series on approaching our fears with faith based in part on Adam Hamilton’s book, Unafraid. When the disappointment is not false… In a bit, we’ll get to some helpful stuff to help alleviate your fear of disappointing others. Right now, though, let’s be completely honest. There are times we’ve disappointed others because we have messed up. We have been perfectly imperfectly human and have disturbed the peace. We do this. We blow it. Sometimes with intent, often unwittingly. When we are guilty of disturbing shalom, this is what the Bible refers to as sin. Sometimes we sin against others. When we do, we need to address it. We need to own our behavior, sincerely apologize as quickly as possible, ask forgiveness, and do our best to move forward with that relationship restored to its appropriate place. Note: this applies to most relationships we find ourselves in. In some really awful situations, seek counsel before entering this process, because engaging the person and seeking peace in the way described might actually be unhealthy and unsafe. Most of the time, however, we need to humble ourselves as seek restoration. This is the Jesus Way to go (see Matthew 5:21-26). 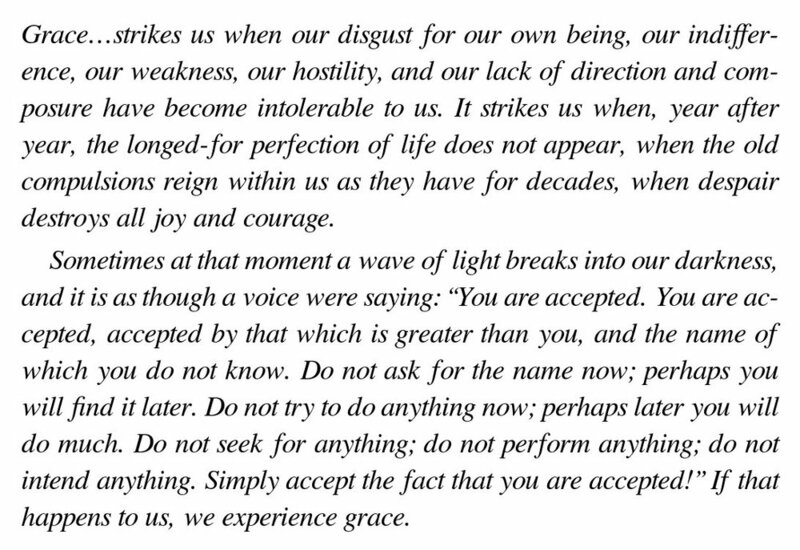 You are accepted. You may feel awful about your behavior. Grace means it need not define you. It is part of your story – no call for living in denial here – but let it teach you and propel you forward rather than simply act as weight to sink you to the depths of despair. Build your identity on these words offered by the Apostle Paul (Ephesians 2:4-5): “God is rich in mercy. He brought us to life with Christ while we were dead as a result of those things we did wrong. He did this because of the great love he has for us. You are saved by God’s grace!” Saved literally means to be healed, to be made well and whole. By the way, this is a process that takes time and repetition. Okay, so, what can we do to disturb shalom less? What can we learn from Jesus about disappointing others? First, realize that Jesus seriously disappointed people. Yep. By the droves. If he was the anointed one so full of the Spirit of God and he disappointed others, just take a reality pill and realize that we will, too. It is unavoidable. But you can embrace the way of Jesus which will help you feel more okay about it. Building on grace as our foundation – that we are inherently and unconditionally loved by God – we can live and grow as real human beings. This means we can let go of our need to be perfect, because we never will be. This does mean we strive toward Christ-likeness, where we find the greatest expression of life. It means we really, deeply own our dust-divine dance, our experience of being fully human yet infused by the Spirit of God. With this, we have the humble freedom to truly, increasingly live, sleeping well at night even as we don’t please everyone all the time, disappointing as that might be to some. That’s reality. We learn. We grow. We become. We live in grace and promote it. Real life. Older PostUnafraid: What if I fail?